Quick Could Go Down as Most Influential Alabama football player of Saban Era. During the 2008 recruiting cycle, Julio Jones was a 5-Star recruit and was ranked as the No.1 wide receiver in the nation. His commitment to the Tide put coal in a train that has not stopped steamrolling down the tracks. The Tide’s 2008 class also included Heisman winner Mark Ingram, Mark Barron, Courtney Upshaw, Dont’a Hightower, Brad Smelley, Terrance Cody, Robert Lester and Barrett Jones. This class was Saban’s first and finish at No. 1. The success this class had on the field left a prolonged impact on Alabama. Jones’ ability to be influential as the leader of that class and those teams made him an Alabama legend. However, there’s now a new conductor in town. One that is working effortlessly to make sure the Saban train stays on course. He is non-other than Alabama 5-Star offensive tackle commit, Pierce Quick. He told Touchdown Alabama Magazine exactly what his goal was. “My goal is to build the best class Saban has ever had,” Quick said. Quick committed to Alabama on April 22 and his decision has not wavered a bit. Instead, he has shut his recruitment down and put on his recruiting hat to ensure Alabama lands some of the top recruits in the 2019 recruiting class. Fans get to witness Quick at work first hand on their Twitter feed as they scroll up and down. There might be an occasional “you know what to do” or “Go ahead and make that move bro” sprinkled here and there. What fans don’t get to see is Quick’s personal communication with recruits when he attends camps or via text messages. Those are the ones that have made Quick one of the top recruiters in the 2019 recruiting class. Alabama now has a total of 16 commits in their 2019 recruiting class, which is currently ranked as the No.1 class in the nation. It would be preposterous to think Quick didn’t have anything to do with that. 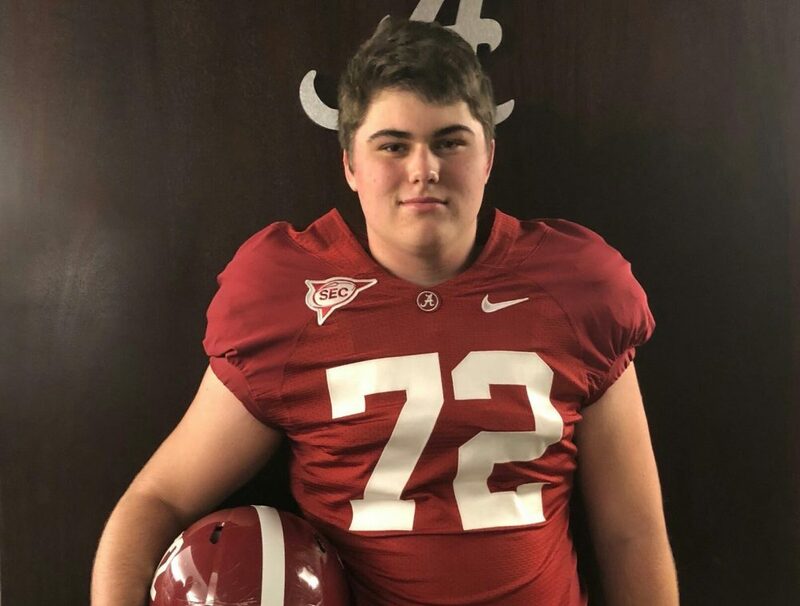 He started in-house and made sure to lock down his teammates that have Alabama offers and with the help of his effort, Alabama has been able to grab verbal commitments from 2019 4-Star QB, Paul Tyson and 2020 4-Star WR, Dazalin Worsham. He has now turned his attention to Malachi Moore, who received an offer from Alabama on Monday and you could bet he is going to try to recruit his teammates, Eric Carter and Armoni Goodwin, who could both be well on their way to receiving offers from Alabama. The Tide hopes he can help persuade 5-Star center, Clay Webb, to come to Tuscaloosa as well as any other recruit he comes in contact with. Every recruiting class that Saban has brought in has at least won one national championship. This class hopes their fate is the same as their fearless leader, Pierce Quick, leads the way. If history serves them right, Quick could go down as the most influential player in Alabama football history. It should be no surprise if Quick is one-day coaching D1 football after his playing days are over.